Signs that Your Child May Have ADHD | Breezy Mama Breezy Mama - Expert parenting advice, celebrity interviews, product reviews for kids, moms and babies and more! ADHD: Does Your Child Have It? Recently, I was chatting with a friend whose child has ADHD–I was asking her what tipped her off to recognize the problem and she answered that although her child exhibited many signs related with ADHD, it was very hard to pinpoint because ADHD has quite a few of the same signs as many other conditions. My friend remarked that it was like peeling an onion away, layer by layer until they were finally able to see what was happening with their child. She went on to say that when the onion was finally peeled back far enough to show that it was ADHD, it was very difficult to find the right kind of help they needed. Which got me thinking–if she was in this boat, then others must be as well. My perception is that ADHD is common, but kids that have it can get lost in the shuffle. So Breezy Mama turned to ADHD expert Dr. Mark Bertin, a board certified developmental behavioral pediatrician and author of the book The Family ADHD Solution: A Scientific Approach to Maximizing Your Child’s Attention and Minimizing Parental Stress, for help on how to identify the signs of ADHD, and what to do if they’re present in your child. What exactly is ADHD, and how does it differentiate from ADD? ADHD is a medical condition in which parts of the brain responsible for self-regulation, organization, and planning (a group of skills called ‘executive function’) are underactive. There are three subtypes in the most current diagnostic manual. People who are primarily hyperactive and impulsive have “ADHD-hyperactive/impulsive type,” those with more symptoms related to inattention and disorganization have “ADHD-inattentive type,” and those who have symptoms of both have “ADHD-combined type.” ADD is the older term for ADHD-inattentive type. What are signs that one should look for in determining that their child may have ADHD? While many children are active, get distracted when bored, or act impulsively, what sets children apart with ADHD is that these behaviors are consistent, excessive, and impacting everyday life. When the parts of the brain responsible for self-regulation aren’t active enough, children struggle to manage their own behavior. From the outside it may not even look like they’re trying, but in reality they don’t yet have the skills they need to succeed. Parent and doctors also should pay attention to what is typical for a child’s age. We have different expectations for a four year old versus a fourteen year old. A preschooler who is active and a little aggressive but generally responds when reprimanded may be nothing more than an average preschooler. A first grader struggling to keep her backpack in order is probably just learning a new skill. It is only when abilities are markedly different than peers and issues persist over time that we should become concerned. Instead of waiting until they’re fairly sure a child has ADHD, parents can reach out for support whenever they begin to have questions. Evaluation shouldn’t be geared solely towards making a diagnosis, but instead focuses on a child’s strengths and where they are struggling. ADHD isn’t the point; intervening early when a child is having difficulty is what matters most. I’ve heard that ADHD is hard to diagnosis, because it has similar symptoms to things such as speech delay, autism, sensory processing disorder, dyslexia or other learning disabilities. How does a specialist tell the difference? Sorting out if something else is mimicking ADHD can be challenging, requiring evaluators to consider various conditions that look similar. So while thinking about ADHD we watch for other possibilities at the same time, as we would with any medical evaluation. Diagnosis is also complicated by the fact that certain conditions overlap. For example, many children with an autistic spectrum disorder also have ADHD symptoms. Children with ADHD often become anxious, and children with anxiety often struggle to pay attention. There is no brief answer that separates ADHD from every other possible diagnosis. We sort it out through understanding both ADHD and other related conditions, and then remain open to other possible explanations. At the same time, ADHD symptoms are usually distinct from these other diagnoses. For example, children with isolated language delay may struggle to pay attention when they can’t understand what’s being asked or follow a conversation, but they don’t have a longer list of ADHD symptoms. As another example, both children with ADHD and children with autism may have social issues. But what defines autism is an underlying delay in social development and communication. Children with autism don’t intuitively understand the social world. Children with ADHD generally know the rules, read emotions, and follow the subtleties of communication when they are able to pay attention to them. Because of their executive function issues, they can’t focus long enough to maintain play or their impulsiveness and distractibility lead to misbehavior and misunderstandings. There is no quick answer about sensory processing disorder because there is no clear research to date showing that there actually is an independent condition called ‘sensory processing disorder.’ Many children have sensory issues, and to some degree we all have various sensitivities. When issues are significant, they typically occur as part of another condition, such as ADHD or autism. If a parent thinks their child may have ADHD, what is their next step? If a parent is concerned about ADHD the most important step is finding someone to evaluate their child who has a good understanding of ADHD diagnosis and management. This can be their pediatrician, a psychologist, a developmental pediatrician, or various other medical specialists. My friend has both a child behaviorist, and a Behavioral and Developmental Pediatrician for her child—what is the difference between the two? Who should a concerned parent turn to first? The type of collaboration you describe is common. By a child behaviorist you probably mean a therapist of some kind, typically a psychologist, clinical social worker, or in younger children a special education teacher. A developmental behavioral pediatrician is a subspecialty of general pediatrics, just like a cardiologist or pulmonologist is a subspecialty focusing on cardiovascular health. The training of a child psychologist and behavioral developmental pediatrician overlap, but are not identical. Psychologists often (but not always) can evaluate for ADHD and related issues, such as learning disabilities, and many are trained therapists. Developmental pediatricians are physicians who complete evaluations, diagnose medical conditions, handle medical testing and prescribe medications, and offer behavioral management advice, as well. But most aren’t trained specifically as child or family therapists. There is a fact sheet about developmental pediatrics available on my website, www.developmentaldoctor.com. I know that choosing to use medication for a child to help with ADHD can be an extremely difficult choice. What advice can you give? The most important step is to seek out objective information from the start, because a lot of what is out there is misleading. Medications have been around a long time. They have potential side effects, but not much better or worse than most medications we use in pediatrics. When medication is used conservatively and carefully adjusted, it typically does not change personalities or cause long-term side effects. On the other hand, avoiding all the potential side effects of ADHD itself (which include everything from school failure, peer issues, and parental risk of divorce to car accidents) seems to have significant benefits. Successfully treated children and adults often describe feeling their ‘best self’ consistently through the day, instead of only once in a while. Besides medication, what are some other methods that can help with ADHD? Medication alone is rarely the answer for ADHD, and it doesn’t work for everyone. Behavioral therapy and parenting interventions are the most effective non-medical choices we have. Most children with ADHD also need extra support at school to manage and organize their work and to make sure they perform up to their capabilities. There is some evidence behind several alternative or complementary approaches, although none that ‘cure’ ADHD. Various food dyes, for example, may exacerbate ADHD symptoms in some children. Studies also suggest possible benefits from specific types of computer training, neurofeedback, or building attention and executive function abilities through activities such as meditation or yoga. Can kids grow out of ADHD? The natural path of frontal lobe development, which is where executive function skills originate, continues through our late 20s. Because of this, about a third of people may outgrow ADHD. My friend enrolled her child in a school that specialized in kids with ADHD —they prepared her child to be “mainstreamed” in her local kindergarten. How does this school differ from a regular school—what do they teach the children? It’s hard to comment on this question without knowing the school. If you are talking about a preschool, there is at least one play-based program called Tools of the Mind that has been studied and appears to build executive function skills. With older children, smaller, more traditionally structured classrooms with fewer distractions posted around the room help with ADHD. These classrooms may have a consistent behavioral plan used across the board for all children throughout the year. They also likely recognize the impact of executive function and help children develop systems for everything from taking notes, to writing an essay, to keeping track of and planning out their schoolwork. What are some resources that a concerned parent can turn to? ADHD is a highly misunderstood condition. The misinformation and judgment parents often encounter complicate family life and make it harder for parents to manage ADHD. My book, ‘The Family ADHD Solution,’ aims to separate fact from fiction and gives parents a clear and practical way to manage ADHD at home and school, as well as evidenced-based, accessible stress-reduction techniques that help parents find their own sense of balance and wisdom in daily life. About Dr. Mark Bertin: Dr. Mark Bertin, a board certified developmental behavioral pediatrician, studied at the UCLA School of Medicine and completed his training in general pediatrics at Oakland Children’s Hospital in California. He was first a general pediatrician in Marin County, north of San Francisco, and later returned to the East Coast for fellowship training in neurodevelopmental behavioral pediatrics at the Children’s Evaluation and Rehabilitation Center (Rose Kennedy Center) at the Albert Einstein College of Medicine. Dr. Bertin is an Assistant Professor of Pediatrics at New York Medical College and from 2003 to 2010 was Director of Developmental Behavioral Pediatrics at the Westchester Institute for Human Development, working in their foster care program. He is a consultant for Reach Out and Read, a national organization that promotes child development and literacy, and is on the editorial advisory board for the non-profit organization Common Sense Media. Dr. Bertin is a frequent lecturer for parents, teachers and professionals on topics related to child development including autistic spectrum disorders, ADHD and parenting. Dr. Bertin also teaches mindfulness based stress reduction classes for parents, having attended trainings at Jon Kabat Zinn’s Center for Mindfulness in Medicine, University of Massachusetts Medical School. 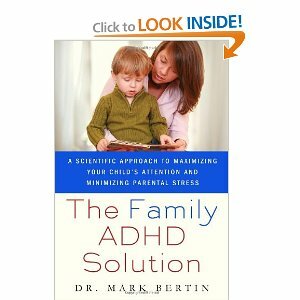 Dr. Bertin’s book “The Family ADHD Solution: A Scientific Approach to Maximizing Your Child’s Attention While Minimizing Parents’ Stress” was released by Palgrave Macmillan in February 2011. To order Dr. Bertin’s book ($10.16 from Amazon) click here. 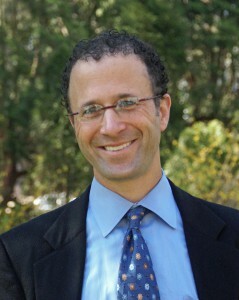 To read more about Dr. Bertin, click here for an article on Psychologytoday.com’s blog. For Orange County, CA residents, Help Me Grow is a non-profit organization that it a good place to start. The mission statement is:”Help Me Grow Orange County connects children and their families to developmental services to enhance the behavior and development of children birth through five years of age.” The toll free number can be called to help connect families to resources. Another resource is CUIDAR, which is a “CHOC – UCI Initiative for the Development of Attention and Readiness.” One of the services provided by CUIDAR is a FREE 10-week parenting class called COPE. It includes a social skills class for the kids while you are in the parenting class. This is important because experts will tell you that behavior modification and improving parenting skills are a very important component of alleviating some of the problems kids (and families) with ADHD encounter. My 5 year son has shown many signs of ADHD since he was a baby. I am so sorry for anyone whose child and family suffer through it. I would encourage any parents to try wheat/gluten free, dairy free, and even sugar free diets before resorting to medication. I agree with the author – sometimes medication is necessary and a very good thing, but, like he said, after very careful consideration. My son has been on a wheat/gluten/sugar/dairy free diet for 2 weeks and he has improved tremendously – almost like a different kid! We have also been implementing the lifestyle recommended by Author Kim John Payne in his best seller “Simplicity Parenting”, and it has made a huge difference in calming both my sons. The book is all about reducing the amount of “stuff” in our lives; material (ie toys), classes, busy schedules, over-communicating, etc. Hope this can help somebody, and good luck. Oh, by the way, I am in no way a medical professional. You may want to consult a naturopath. My husband was just diagnosed with ADHD as an adult. Believe it or not, even with all our advances in medicine, many kids still slip through the cracks. Some of them have the parents who are anti medication or who would prefer to live in ignorance. Some ADHD types are just very hard to diagnose because they are extremely smart and love to read. (like my husband). Driven to Distraction was a wonderful book about adult ADHD. If one of your kids have ADHD, it is quite possible that one of their parents also suffer. Medication has made a world of a difference for my husband. He wishes he would have had his medication to help him focus more while he was in law-school. I have found the schools and pediatricians to be absolutely worthless in getting my daughter the help I think she needs.